Zenimax company has shared some good news with its fans. The Elder Scrolls Online PS4 version will not require a special PS Plus subscription, which in most cases is a must-have for the multiplayer games on this console. 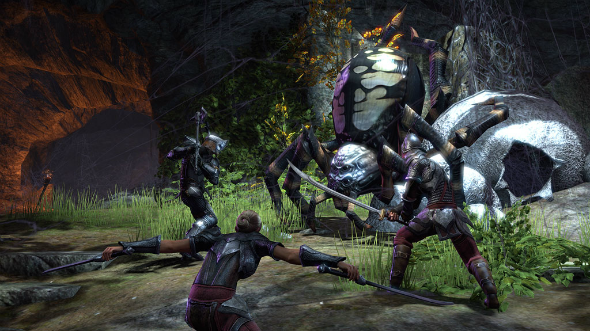 According to the director of Zenimax - Matt Firor, - the only condition will be the payment of the same monthly subscription as for PC and Mac users. However, Firor has also stated that the Xbox One players of The Elder Scrolls Online game must get an Xbox Live Gold status to enjoy the game on this console. Besides, there have appeared a few technical details of the upcoming game’s launch. The players of The Elder Scrolls Online PS4 version from Europe and North America, depending on their location, will have different servers, separated from the PC and Mac’s ones. It means that The Elder Scrolls Online won’t become a cross-platform game, and PS4 fans may not worry about the necessity of competing with the PC and Mac high-level players. The Elder Scrolls Online PS4 and Xbox versions are going to be launched in June 2014, while two month earlier the game will be released for PC and Mac. Currently, there is some confirmed information about the upcoming beta test for the PS4 version, but the exact date is still unknown.